Welcome to the Ham Radio portion of this web site. It is my hope that you will get the "feel" of being here by viewing the content in this section. If at all possible, please make plans for a personal visit; it would be an honor to have you and your family over for a visit. Choose any of the links below to see the shack, some fun stuff, and a host of different radios and items that are in service at this station. Please me if you find any errors or simply wish to say hello. 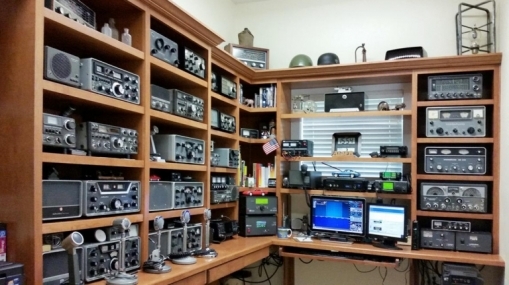 Click on the link below to visit the shack of the AI4FR amateur radio station. Log Book Search = Updated every 1000 Q's. QSL Info & Stats = How to get a QSL card.